Alright friends, in a list ditch effort to try to make a bunch of Bella Blvd cards for their Facebook contest, I've made a couple more cards in the last few days. I'm able to do this because it's still technically our weekend. I craft FAR less on the "week days." I hope you all had a wonderful day! My first card is a no stamping card. It's for this week's GetSketchy sketch. It uses Bella Blvd Plastino paper. The ribbon is May Arts, the stick pin is Dritz, and the sentiment is EAD Designs from their Sweet Birthday Treats Stickerz set. My second card is for Mercy's sketch #84. This girl is SO talented! I need to do her sketches more! So, I didn't follow the sketch exactly, this card kind of took on a life of it's own. Again, this is Bella Blvd Plastino. 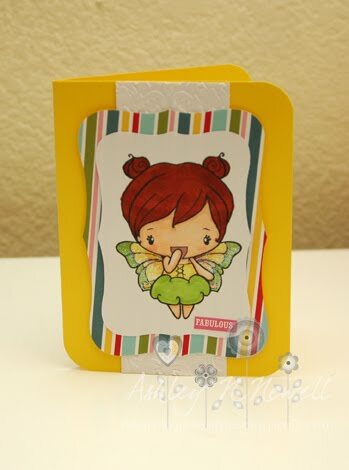 The stamp is The Greeting Farm and the alphas are Cosmo Cricket. This is for a challenge I missed and I am SOOO bummed! It's a new (to me) blog called A Craft Little Place. This was last week's sketch and they were giving $1 for each card made to a gal who had been in an accident. I LOVE that they did that, so that's why I played along but I didn't link fast enough. :( Again Bella Blvd Plastino and The Greeting Farm. My last card is for Jen Del Muro's current SFYTT. This is a fun sketch. I didn't think I would like it, you know how I feel about lots of layers, but I think I made it work. Again the paper is Bella Blvd Plastino. 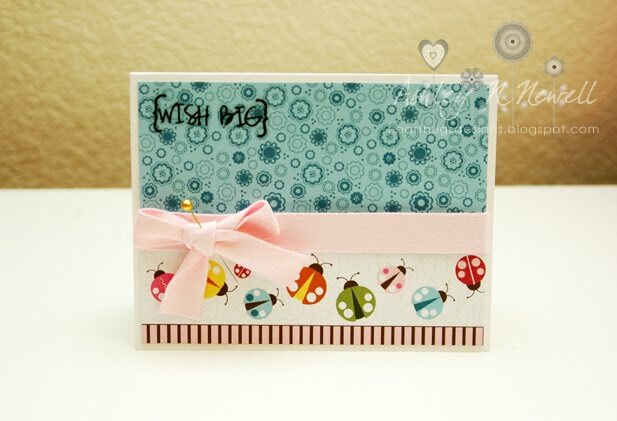 The CB folder is Argyle, the stamp is CC Designs Swiss Pixie, the ribbon and rhinestones are from Michael's. Have a great Wednesday everyone! Hugs! WOW Ashley! 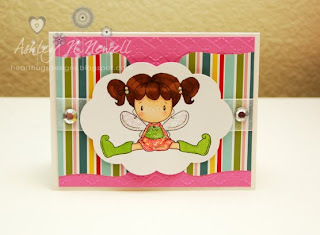 Your cards are just fabulous and love your take on the challenges. Girl you have been BUSY! Love em all! You did a fantastic job! Love them! love your take on the Get Sketchy sketch! Wow, you sure got a lot done! Pretty cards! Cute, cute, cute! 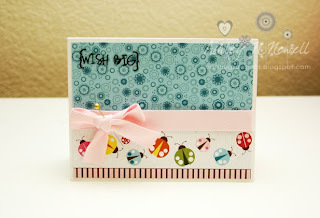 I adore that last card and your coloring is fabulous! 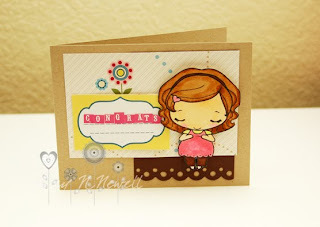 Ho sweet and cute are these card.... I love the colors that are super cute! Those are all sooooo cute!! And yes, you definitely made Jen's sketch work. It is adorable! CONGRATS on your TOP 5 at Get Sketchy!!!! These are all so adorable. Fun, fun, fun.